I know, the first thought out of your head must be, Cape Cod? What the hell does Cape Cod have to do with noir? Well, quite a lot it turns out. When you have an elite upper class that is butting up against a beaten down working class, long time residents dealing with obnoxious tourists with a sense of entitlement, things are going to boil over. 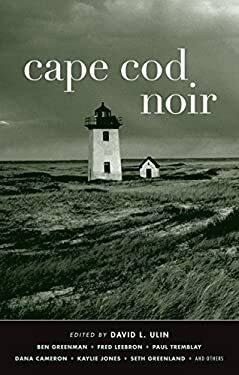 This collection, Cape Cod Noir from Akashic Books is edited by David L. Ulin who does an excellent job of wrangling a strong mix of authors, including one of my favorite authors going, Paul Tremblay. They’ve put out some 40+ versions on noir such as Chicago Noir, Baltimore Noir, New York Noir, etc. and each book brings you local authors or writers with a unique perspective on a city and its people. Read my full review up at The Cult.